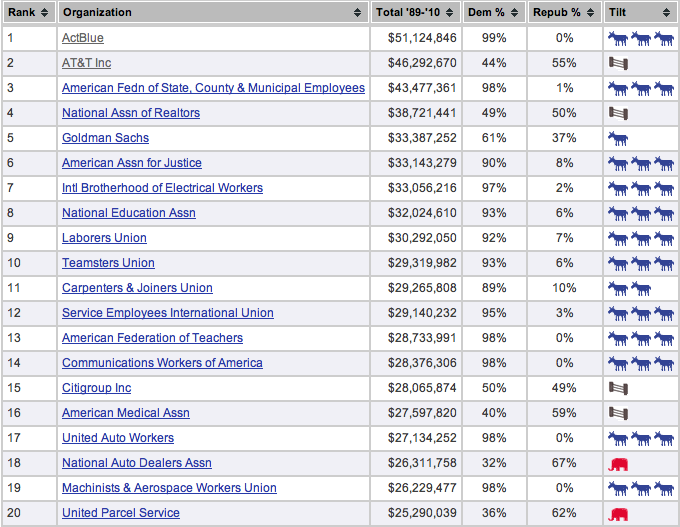 How many people would guess this breakdown of donors and recipients? It is certainly not popular knowledge among my own peer group. This xtranormal video going around makes the right-wing populist case against the Fed's quantitative easing campaign with a good dose of humor. It's interesting to read how this is received on left-leaning outlets like The Huffington Post. Leftists fear the concentrated power of large private corporations and trust the concentrated power of large government bureaucracies. The accusation of corporate corruption in Federal Reserve policy making results in some dissonance. Some commenters participate in the outrage, others are quick to lecture their peers on the "proper" way of thinking. In the programming world the compensation we receive for our jobs is becoming more exposed to the market. This results in higher mean compensation and higher variance. Startups, established companies, and Venture Capitalists are hungry for competent developers that can produce results. The three groups are relentlessly bidding against each other for engineers. This change is most strikingly illustrated by Google. It is widely perceived to be in a bidding war with Facebook over elite engineers, goading the company into instituting an across-the-board 10% salary increase and paying rumored retention bonuses of up to $500,000 for top employees. But commentators overlook an important second source of competition: the burgeoning startup universe. More startups are getting funded than ever before, though with smaller amounts of capital than during the 90s boom times. Hiring the right person into a small company can drastically alter its chances of success and the cash and equity terms of their compensation packages reflect this. One more level of competition comes from Apple's iTunes app store which makes it easier than ever for a programmer to take his wares directly to consumers through their phones and iPods. At the same time engineers who hope to work an easy job nestled in the comfortable embrace of a large organization and never really be responsible for shipping product are getting left behind in compensation. They are still plagued by the spectres of outsourcing and the commoditization of software development that grabbed headlines not so long ago. Never before has a software engineer’s compensation so closely mirrored the market value of the software he ultimately produces. There has never been a better time or a worse time to be an engineer. I just saved $100 by getting my eye exam done at Wal-Mart instead of the neighborhood optometrist. Wal-Mart hatred is for rich people.